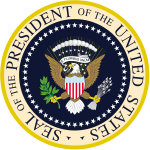 Featured Image: Seal Of The President Of The United States Of America. SOURCE: Wikipedia Commons (Public Domain). Yes, the 2016 race for the White House has already gotten started — and it looks like Dr. Ben Carson is first in the ring. Featured Image: Flying a flag upside down is a sign of danger to the flag’s nation and its citizens. When I first became aware of my need to prepare, the task seemed monumental and overwhelming. If we approach this systematically we can have peace of mind and work steadily toward a goal. I will show you how to begin your plans step by step in this video. The first commercial passenger flight from Key West to Cuba in more than 50 years has landed in Havana, capping several years of efforts to reunite the two islands, though regular air service still appeared a distant prospect. Featured image: A traditional Thanksgiving dessert is the pumpkin pie. CREDIT: Evan-Amos SOURCE: Wikipedia Commons (This file is licensed under the Creative Commons Attribution-Share Alike 3.0 Unported license. 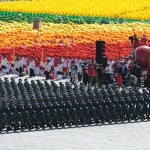 China took its first unmanned stealth drone for a 20-minute test flight, state media announced Friday. The “Sharp Sword” drone could be used for both surveillance and missile strikes. Featured Image: A U.S. Drone. CREDIT: U.S.Air Force. (Public-Domain). Senator Rand Paul (R-KY) sent two letters to FBI Director Robert Mueller asking for the agency to explain its domestic drone program as well as the policies behind it. Assistant Director for the Office of Congressional Affairs, Stephen Kelly, responded to the lawmaker’s request saying that “every request to use UAV’s must be approved by senior FBI management and without a warrant the FBI will not use a UAV.” Also on Friday, the Federal Aviation Administration approved drones to be used for civilian use, and RT speaks with Michael Brooks, producer of The Majority Report, about drones. Featured Image: Map of the world by Ottoman admiral Piri Reis, drawn in 1513.Only half of the original map survives and is held at the Topkapi Museum in Istanbul.The map synthesizes information from twenty maps, including one drawn by Christopher Columbus of the New World. CREDIT: Piri Reis (circa 1467 – circa 1554 ) SOURCE: Wikipedia Commons (Public Domain). Who were the first people to discover America? Historical evidence uncovers the myth of Christopher Columbus being the first to America. This documentary explores the evidence of Ancient Civilizations visiting North America long before Columbus. Chinese, Egyptian, Viking explorers all traveled to the New World. Featured Image: Milton William Cooper, a Patriot, a Hero. SOURCE: Wikipedia (Public Domain). Milton William Cooper’s “Behold a Pale Horse” is a book that should be on the top shelf in every Conspiracy Science library. This is the first in a series of report’s from William Cooper and other modern patriots we will be running here on THEI. This is legendary folks. William Cooper was a real patriot. If you think Alex Jones is the leader of the Patriot Movement, you don’t know who William Cooper is. He was the first leader of the radio movement to wake America up, before being assassinated by police. . . . From intro with video. http://www.pbs.org/wgbh/nova/ – Twenty-three bizarre looking vehicles line up at the gate of the DARPA Grand Challenge with one thing in common: there’s nobody behind the wheel.